They also have heart-shaped doughnut pans, cake pans, springform pans, and other heart-shaped cookie cutters. 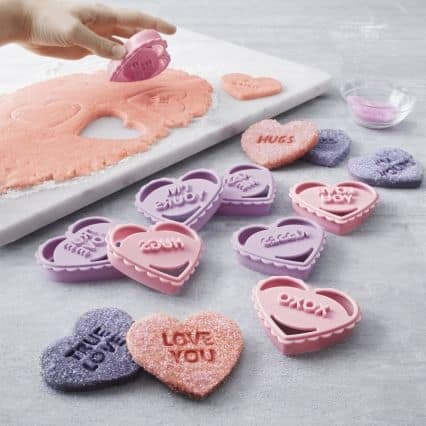 Everything you need to create your Valentine’s Day sweets. In a large bowl, mix butter and sugar together until smooth. Gradually blend in the baking soda and baking powder, then the flour, 1/2 c at a time. Cover and chill the dough for at least an hour or up to overnight. When chilled, sprinkle flour on your surface and roll out dough to 1/4-1/2″. 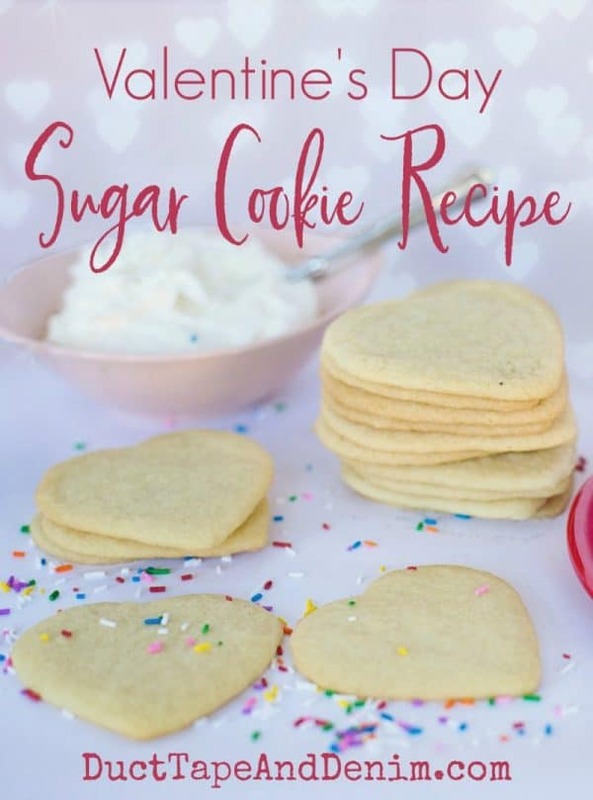 Place cookies about 1″ apart on an ungreased cookie sheet. Cool on a rack and either decorate or just eat. DIY Valentine Pillow in 15 Minutes! 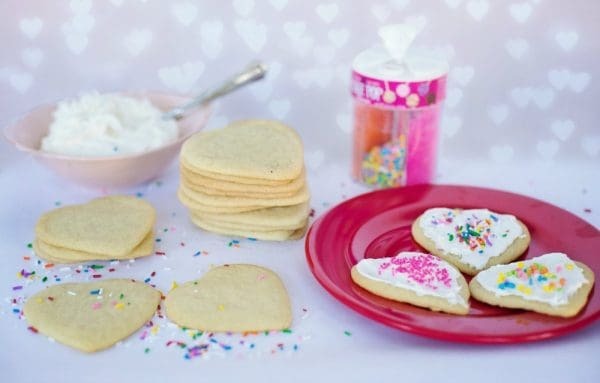 Leave a comment and let me know if you make heart sugar cookies for Valentine’s Day!